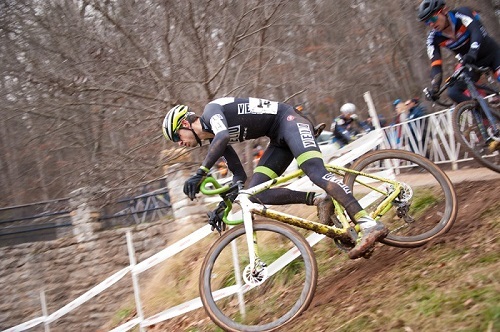 Cyclocross is a sports competition that includes many athletic endeavors. This hybrid between road and mountain biking blends riding and running with skillful and precise bicycle handling. Without any of these, the sport would be just a muddy way to go road biking on gravel roads and challenging paths. You will need a performance-oriented bike to get your wheels going on the hills and dale tracks. A product description is sometimes not enough to buy the perfect bike even if you already know the specs of certain models. So, you should dig deeper to make sure that your road bike is suitable for cyclocross by looking up its pros, cons, and other specific technicalities on specialized websites. We recommned the social fitness network Strava’s blog and BikeGearExpert MTB review site to get you started. Cyclocross now reached it’s peak in Europe, as most champions come from Belgium, France, Italy, Czech Republic, and the Netherlands. Competitions also begin to arise in the US, Australia, and the UK. The cyclocross season runs in September – January. The UCI World Championships makes the most sought-after event in the field. The typical cyclocross race consists of a one-three km course with sand, dirt, mud, tarmac, run-ups, and steps. Each race must be completed within 30 minutes to an hour. Courses include obstacles that force bikers to dismount, shoulder carry their bike over the obstructions, and quickly remount, while each ending requires strategy thinking to complete. 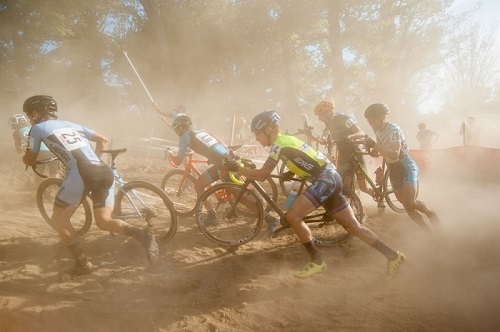 You and your bike will unavoidably get messy on a cyclocross course. Nevertheless, keep in mind that cyclocross may negatively impact your body if you skip training. Also, you should first test your bike and make sure it can handle hills and mud damps. French army private Daniel Gousseau began riding his bicycle together with some horseback-riding acquaintances through the woods back in the 1900s. Shortly afterward, professional riders started to train during winter months. The competition got organized and champions appeared. Jean Robic became the only world cyclocross champion to win the Tour de France in 1950. He was also nicknamed the hobgoblin of the Brittany moor. Niche contests gradually turned into a festive winter race discipline over the years. “Rainbows in the Mud: Inside the intoxicating world of cyclocross” by Paul Maunder, 2017. If you fall from the bike, you might not break anything thanks to the soft mud. Cyclocross is mostly for connoisseurs. However, seasoned bikers will welcome rookies. Some courses or even competitions are sometimes used for training purposes. There is a greasy smoke surrounding each course. There might also be some fog or rain. Bikers come in for a cup of coffee to investigate the details of the course. Motorhomes are used by bikers when preparing and giving their legs a rubdown. Meanwhile, mechanics make a last check of the gear. As the race begins, spectators frantically clap and cheer for their favorites. Thom Alger of San Tan Valley said that cyclocross is similar to the equestrian competitions from the Olympics. Horses are jumping over obstacles, and so are bikers, according to AZ Central. He also mentioned that such races have a motocross feel. “Naturally, there was little grass along the course, just the wiry, ankle-grabbing stuff on the edge of a few stretches. However, there was plenty of sand, loose dirt and hairpin turn, plus a little muck and possibly some organic material left by the regular users of a park built for horses,” reporter Bob Young further added. Pro biker Andrew Juiliano noticed that racers “exploded off the line” when the whistle blew, and so did the screams of fans. Brakes began to screech to the first corner accompanied by loud music. Despite having a heart rate of around 196, Juiliano managed to cross the line in 33rd. Reporter Addie Levinsky admitted that anything could happen in a race, including a severe leg injury. Use the pit stop to change tires or thoroughly check the condition of your bike. Does cyclocross sound tempting? Seek an event and enroll! You should train before the competition, and you can start that on your regular mountain bike. Once the contest turns into your favorite autumn-to-winter activity, you will know what equipment to invest in. Most of the competitions come with very few to no registration fees. They also include food and beverages so your family and friends will be entertained. Discover the charm of cyclocross and test your limits with each competition! 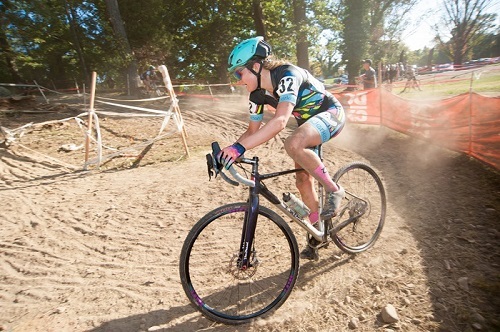 This entry was posted in Featured, Land Sports and tagged Cyclocross. Bookmark the permalink.